If you are a working professional in your late 20s or early 30s it's a high time you should give a serious thought to your investment planning. Along with conventional investment options like mutual funds and EPF it is also beneficial to invest in Stock Market. But investment in stock market needs a lot of time and deep understanding of market. A good stock advisory firm can save you from all these hassles. 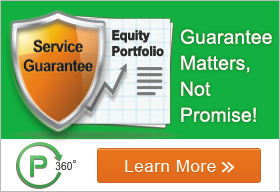 Stock advisory firms have professional stock analysts who do the research on your behalf and provide you stock calls. There are lot of details which have to be assessed to identify the undervalued stocks which can perform well in future. This exercise is critical in order to eliminate market risk and to get the best value of your investment. Well thought out investment strategy is a key to good investment. This is the point where stock advisory firms make a world of a difference in your investment planning. Stock Advisory Firm are armed with years of experience and the stock market tools which helps to analyse the performance of stocks and also helps to determine the market risk of investment. An individual managing his/her portfolio may not be fully equipped to gauge the volatility of the market and might end up losing a lot of money in the process. Let's be honest, the wide range of stock market can sometimes baffle the beginners. In such scenarios a little hand-holding can help you to tread the right path. Your investment needs are often of different nature i.e. short-term, long-term, mid-term, with the help of a good analyst, you can identify the plan which best suits your needs. It also enhances your experience when someone understands your needs and draws a strategy customised to your requirements. Such personalised service works wonders to ease your way in the complex world of stock market. The biggest takeaway of subscribing to a good stock advisory firms is that it saves you the anxiety of living in perceptual uncertainty. As you have identified and invested in the most reliable stocks, you can relax and be sure of meeting your financial goals. As stock advisory firm not just relieves you from all the hassles of your investments but it also adds more value to your life as you get more time for you family and friends and to attend other good things in life. Visit p360o (Personalised Research Services) if you want to learn about our stock advisory services.